I'm about to upgrade my iPhone 7 and I haven't decided between the iPhone 8 and the iPhone XR (or maybe the iPhone XS). I just want to make sure whichever one I get will work OK with my wireless charging and connect OK with the entertainment and everything else. I spoke to my dealer and they said any of these iPhones will work fine with my car. 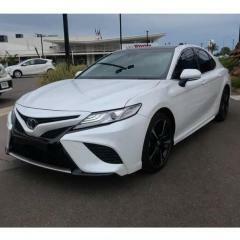 I've tested my iPhone X 256gb in a 2018 Camry SL, worked great!